← The Sports Archives – The UK’s Most Famous Stadia! The Sports Archives – 10 Famous MLB Players Who Call The Sunshine State Home! During the 2012 annual governor’s conference on tourism in Orlando, a slogan was unveiled to convince visitors to stay one more night. Soon commercials showing tourists not yet ready to leave the state began airing, each one claiming that it “Must Be the Sunshine”. Visiting the Sunshine State is a dream for many people – and not just in America. Even people in European countries dream of visiting landmarks like Disneyworld, where they can see Mickey Mouse in his east coast quarters. Theme parks, golf, and ocean-related activities make the state the perfect place for visitors of all ages. But one thing people do not realize is that the state has a great history of sports stars. Literally hundreds of MLB players alone were born in the Sunshine State, and even ones who were not born there now call Florida home. Here are just a few of the MLB players born in the Sunshine State. Steve “Lefty” Carlton – Born in Miami, Steve is a former Left-Handed Hall of Fame MLB pitcher. He pitched for several teams, including the Phillies, Cardinals, Giants, White Sox, Indians, and the Twins. He also pitched in two World Series games. Vince Coleman – Born in Jacksonville, This MLB player stole bases for the Cardinals, Mets, Royals, Mariners, Reds, and Tigers. He stole 110 bases in his first season alone in the MLB, and in 1995 he was named Rookie of the Year. Derek Bell – Born in Tampa, Derek Bell was an MLB outfielder for the Blue Jays, Padres, Mets, and Pirates before leaving professional baseball. Although he fell from grace and suffered through a few arrests, he now lives on a boat in his home state. Andre Dawson – This Miami native played as an MLB outfielder for the Expos, Cubs, Red Sox, and Marlins. Named 1977 NL Rookie of the Year, Dawson won several Gold Glove and Silver Slugger awards during his career in 2010 was inducted into the Baseball Hall of Fame. Dave Eiland – Born in Dale City, this former MLB pitcher played for the Devil Rays, Yankees, and Padres before going on to coach for the Yankees. These days he has returned to his Florida roots and is an advisor for the Tampa Bay Rays. Zack Greinke – A native of Orlando, Zack Greinke is a wonderful MLB pitcher. Due to spending his early years with the Royals, his record shows more losses than wins. He now plays with the Brewers and is married to a former NFL Dallas Cowboys cheerleader. Chipper Jones – Born in DeLand, this Atlanta Braves’ third baseman has a lifetime average of .306 and an amazing MLB career overall. In fact, he is just second in all-time homerun hitters for the Braves, coming in just behind Hammering Hank Aaron. Gary Sheffield – A native of Tampa, this former MLB outfielder played for the Brewers, Padres, Mariners, Dodgers, Braves, Yankees, Tigers, and Mets before retiring. In addition to a World Series and nine All-Star Games, he boasts five Silver Slugger awards. Tim Raines – Born in Sanford, Tim “Rock” Raines is a former MLB left-fielder who played for the Expos, White Sox, Yankees, Athletics, Orioles, and Marlins. Many MLB enthusiasts consider him to be a leadoff hitter and baserunner in the history of the sport. Louis Victor Piniella – This Tampa native played outfield for Orioles, Indians, Royals, and Yankees. With three World Series under his belt, Louis “Sweet Lou” Piniella went on to manage several MLB teams and was voted Manager of the Year on three separate occasions. Who would not want to live in Florida? According to the state website, it has 663 miles of beaches, an average summer temperature of 80 degrees, and average winter temperatures that almost never even reach the freezing point, much less dip below it with frigid wind chill factors. 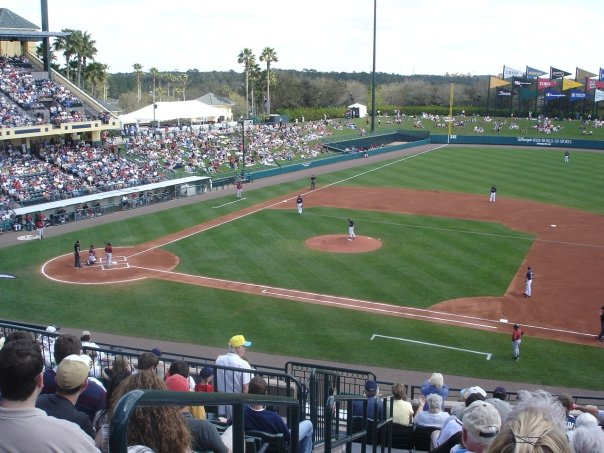 In addition to being born in the Sunshine State, another reason why Florida is so popular among MLB players is due to the spring training camps located there. 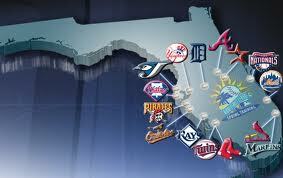 Half of the MLB training camps are located in Arizona, and the other half are sprawled across the state of Florida. Benjamin Baker lives in Denver, Colorado with his wife and their three busy teenage children. Living in an area that gets a lot of snow each year gives him a special appreciation for a state that rarely ever sees freezing temperatures. When he isn’t spending time with his family, Benjamin tunes in to www.itisallaboutsports.com for all the latest news about his favorite teams. Improving Your Skills With Baseball Training Aids! The 3 Best MLB Parks for Kids! This entry was posted in Baseball and tagged Andre Dawson, Chipper Jones, Dave Eiland, Derek Bell, Florida baseball, Gary Sheffield, Hank Aaron, Lou Piniella, MLB, MLB Blogs, Rookie of the Year, sports and leisure, Sports Archives, Sports Blogs, spring training camp, Steve "Lefty" Carlton, Sunshine State, Tim Raines, Vince Coleman, Zack Greinke. Bookmark the permalink. 1 Response to The Sports Archives – 10 Famous MLB Players Who Call The Sunshine State Home!